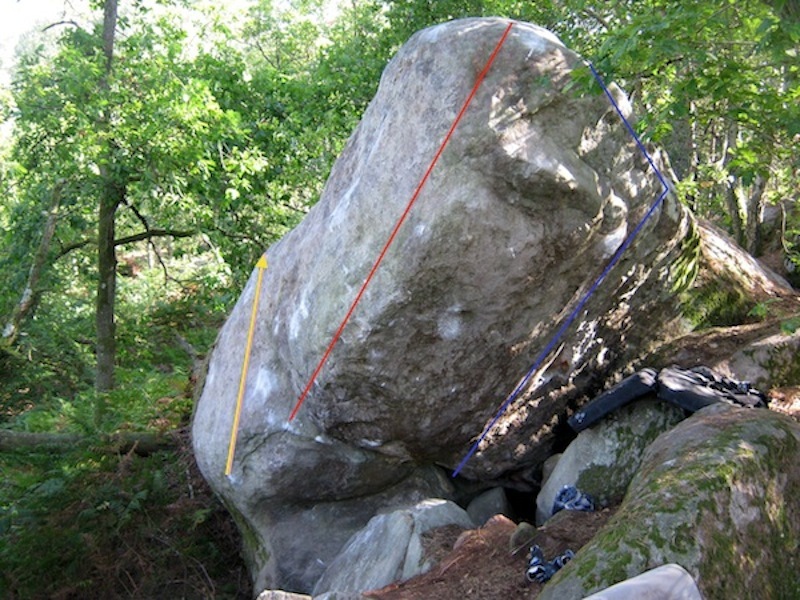 Evident prow on the boulder to the left of Cent Pofs et Sans Reproche. Standing start with a pinch left hand and exit on slopers. NB: a sitstart is possible but it adds no significant difficulty.